Sorry that I've been slightly MIA from the blog.. Its the holidays and if your anything like me than you've probably been out shopping till midnight every night this week in preparation for Christmas, ugh. Anyways today I wanted to do my HIGHLY requested skin care regime! Now first off I want to preface this post by saying that this skin care routine is newer in my life, and I have not be implementing this routine for like months and months, but I have to say even in the shorter amount of time I've been on this routine my skin has never felt better! Also something to note is I personally have very normal skin. It doesn't get oily in the slightest, and I don't have that many skin concerns any more so I many focus on wanting to feel hydrated, glowy, and supple. While my skin is "normal" I do pull much more to the dryer side of things, especially in winter so this skin care routine is perfect for us girls & guys with normal to dry skin. I wanted to share with you guys how I keep my skin so clear naturally + then share with you how I take care off my skin with the products. Because as much as everyone would like to think that the natural ways would be enough, they must certainly are not. You still have to really have a great skin care routine in order to have beautiful skin. So first thing to implement into your life is drinking a lot of water. This is super easy for me since I've been downing water like a fish since I was like 8, lol. I think I owe my skin to that even today. Even a few years ago as a teen I really never suffered from acne and I really do think that drinking literally over the recommend amount of water a day is the key to that. Number two, clean eating + no dairy. As you guys know I'm actually coming up on three years of eating vegan, and let me tell you that will transform your skin naturally. 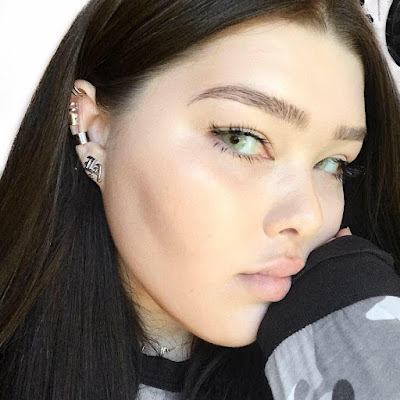 Although I never struggled with severe acne, I definitely struggled with the occasional breakout or multiple breakouts at once, which is the worst. But honestly, this year especially I just rarely if ever breakout. Which I do equate to cutting out dairy so I don't have those extra acne causing hormones in my body. Thirdly, NEVER leave your makeup on!! As a teen I used to see kids in high school always sleep in there makeup, and no. Just, no. The most skin damaging, acne causing, buildup making thing you could do would be to leave your makeup on while you sleep! So grab your makeup remover wipes guys because its not worth it! Now to the actual skin care part! 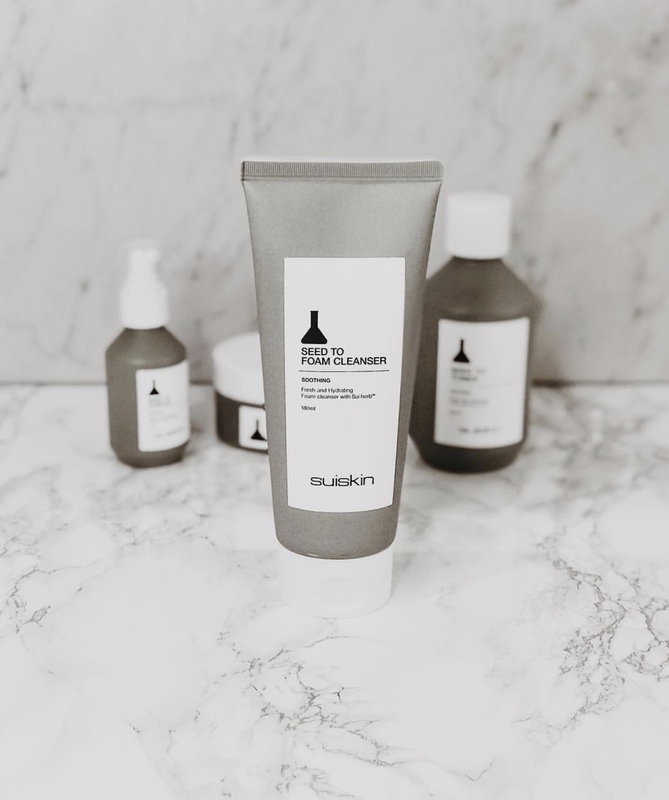 Number one in my skin care routine after getting my makeup off is to wash my face with the Suiskin "seed to foam cleaner." This cleanser is super gentle on my skin and when wet gets nice and foamy. It really helps get off any extra makeup residue and dirt from the skin but also somehow doesn't leave my skin feeling stripped! It somehow makes me feel hydrated instead of super dry like most cleansers! Next up I use the Seed to toner, which is a really nice gentle toner that nourishes and cleanses my skin with out that burning sensation that a lot of us dryer skin girls can get when using toner. Third in the line up is this amazing amazing serum called the "seed to essence." This little guy packs a big punch!! It seriously is the secret weapon to this routine. Every time I use it my skin feels so deeply hydrated and I feel like the hydration lasts forever! Like if I put this on in the morning I feel my skin feeling hydrated most of the day, which is super rare. It really helps sink in the face cream that I put on next as well, acting as a double team for hydration! Last but certainly not least is the Seed to cream, moisturizer. This little tub of magic is the best all around moisturizer that I've tried. I can where it during the day, at night, under makeup, everything and I don't have any issues! Its makes my skin feel super supple and hydrated and does wonders for the winter time. TOTAL PRICE FOR WHOLE SKIN CARE REGIME = ONLY $55! Now a little bit about there brand and what they do ( From there site ) So you have all the info! + The special ingredients that make these products so good! DERMA SOLUTION ON DRY SKIN: Swiss skin's Derma solution, which combines skin-active ingredients with natural herbal ingredients, makes the skin more comfortable. RIPEN THOROUGHLY AT THE LABORATORY NEXT TO THE HERB FARM: rip / extract - cultivate and harvest the herb for at least 3 months to 11 months to improve the soothing effect of the herb. Extract / Test - Determine if you can reliably relieve the skin with a confidence test for the soothing ingredients extracted from 11 herbs. Well thats about it! Hope you guys liked it and be sure to head over to my IG - @officialsavvyj and let me know what you think about these products!